The use of laser is one of the most exciting technological advances in dental patient care in decades. The term “laser” is an acronym for “light amplification by stimulated emission of radiation”. In dentistry, lasers allow practitioners to treat decayed enamel/teeth and gums efficiently by directing an invisible energy beam onto problem areas. The use of laser in this way prevents the need for hand-held instruments like scalpels and drills for dental treatments such as gum surgery and any discomfort associated with them. Laser dentistry also has a shorter and less painful healing time. At Smile Solutions, we pride ourselves on keeping up to date with the latest technology. 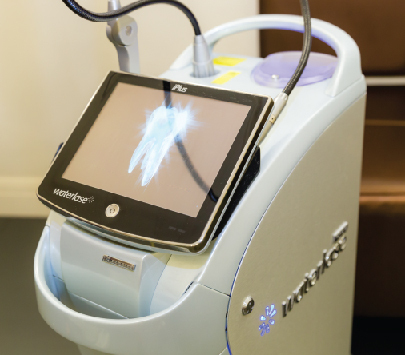 The laser systems we use combine Versa Wave, NV laser, Light Touch ErYAG, iPlus Biolase and Fox diode. Laser dentistry can be used for a number of procedures performed by general dentists and specialist periodontists, such as for some smaller fillings or gum lifts. Laser can be used for some small fillings. This procedure involves the use of laser technology to target and remove decay before a tooth is filled. When laser is used in this way, it can often mean that needles and drilling are not required, though a drill may still be needed to remove an existing filling if the tooth is being re-filled. A laser filling procedure takes slightly longer than a conventional filling procedure. However, unlike conventional fillings, laser fillings can be carried out in all parts of the mouth in one visit if a local anaesthetic is not required, which can save time in the long run. Laser provides an alternative to using a scalpel and can now be used to carry out, more quickly and virtually pain-free, most soft-tissue procedures (gum lifts/contouring) that would normally be performed with a scalpel. With laser, depending on the procedure, there is often no need for stitches, so healing can happen up to five to six times faster. The shorter healing time allows you to undergo treatments within a week, instead of the typical six- to eight-week healing time for conventional gum surgery. Laser can be used to clean implant surfaces, which may allow bone regeneration, during implant surgery. Laser dental cleaning actually has a number of advantages for the patient, including decreased treatment time, almost complete absence of pain, minimal anaesthetic, and (depending on the procedure) no need for stitches. The risks involved with laser dentistry are related to the heat produced by the frequency of the laser beam, the amount of coolant used when the laser is applied to the surface of the tooth, and how long the clinician applies the laser to any one tooth surface. It’s important to have a trained clinician perform your laser dentistry procedure. At Smile Solutions, our clinicians are well aware of the risks associated with laser treatment and are trained and experienced in reducing these risks. Who Performs Laser Dentistry Procedures? At Smile Solutions, your laser dentistry procedures can be performed by our general dentists or registered specialist periodontists (gum specialists), depending on the procedure. During a consultation one of our general dentists or specialist periodontists will assess your suitability for laser dentistry and will discuss your treatment options. 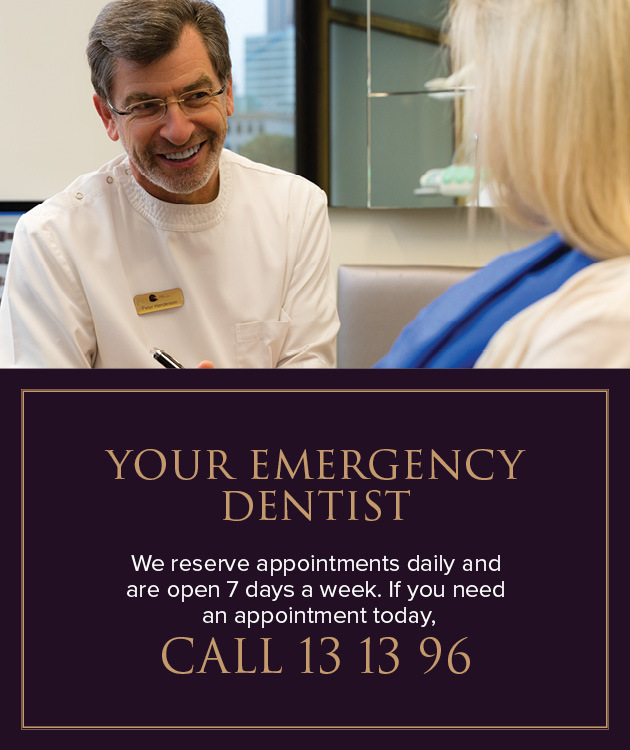 To book your consultation, call our friendly team on 13 13 96. 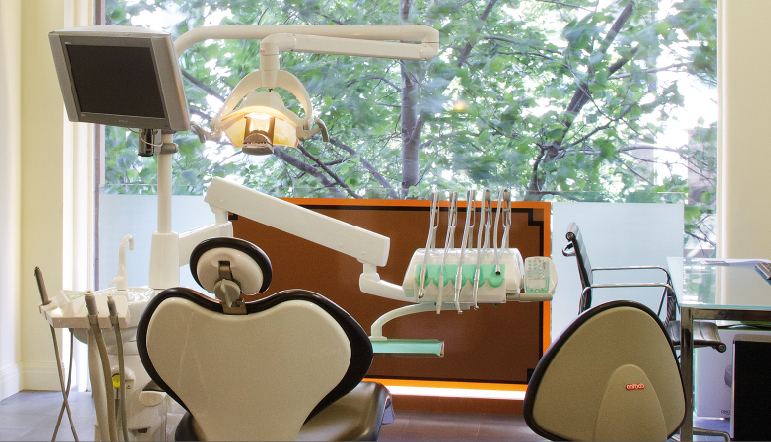 At Smile Solutions laser dentistry is included in the wide range of high-tech services we offer. 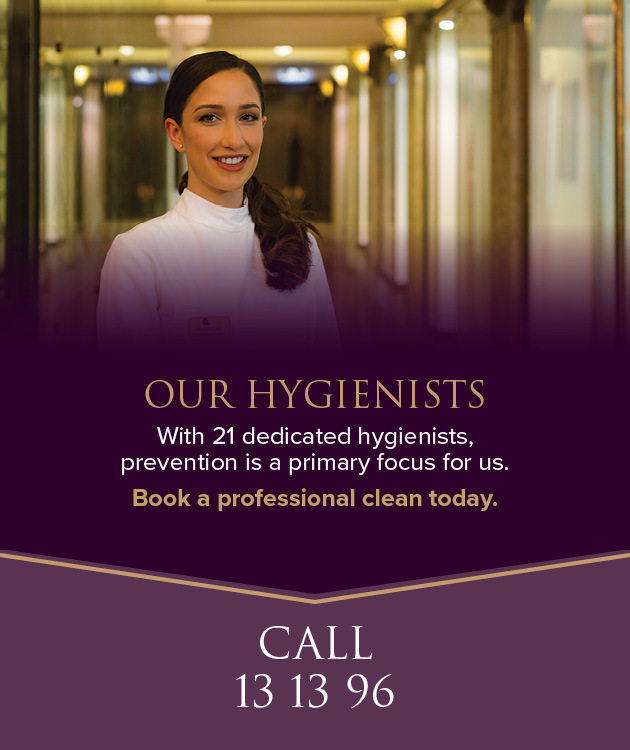 Using the latest technology available in dentistry, we provide the highest quality of dental care throughout all procedures, so you can be assured that the best people, with the best equipment, will perform your laser dentistry.